We checked out a set of BCT Winmax tires mounted on a GMC Yukon. The first couple digits of the DOT code are "0J", which traces back to a Chinese tire factory run by Beijing Capital Tire, which incidentally filed for bankrupcy around October 2014. It is unclear whether the company is now operating under new management, as we do not see their corporate website up any longer. Beijing Capital also manufactured tires under the Autoguard and BCT brand names. In addition, their Autoguard tires had been subject to several tire recalls. We're not sure how directly this impacts their Winmax line of tires, but we suspect that the company's standards are not as up to par compared to better known brand names. Fuzion is a brand owned by Bridgestone Tire. What we like is that the Fuzion SUV tire has over 300 reviews, with a high average rating of 4.6 out of 5. The only downside is there aren't many sizes for rim sizes above 18 inches. The Nankang SP-7 All-Season Radial Tire is another good SUV or light truck tire choice, and has many tire sizes even in the 22-24 inch rim size. 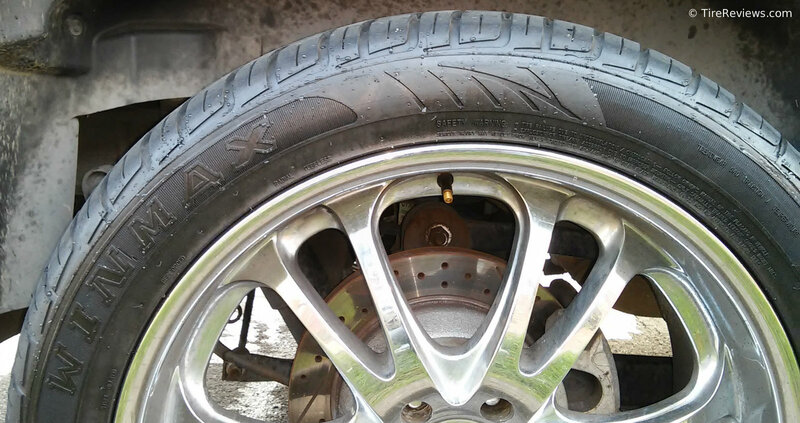 Pictured below is a Winmax tire mounted on a GMC Yukon.